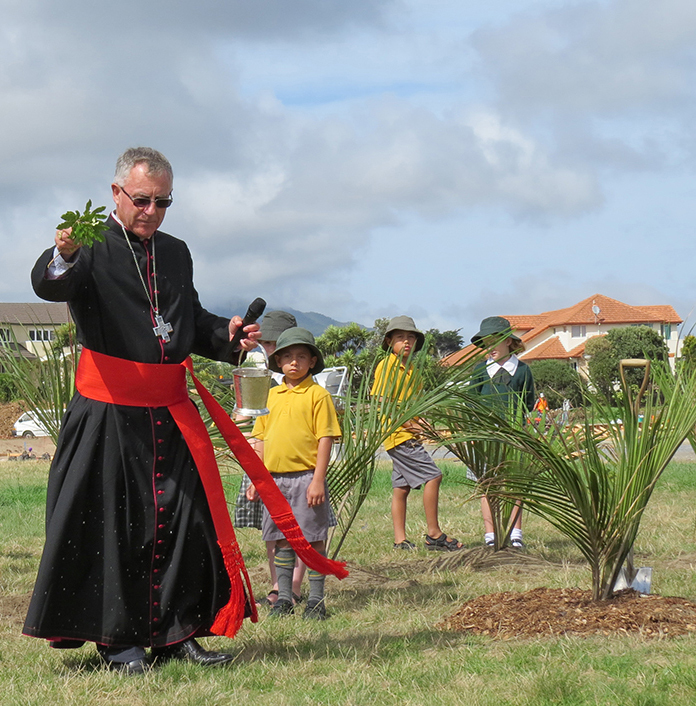 Cardinal John Dew blesses new building site for Our Lady of Kapiti parish and school as St Patrick’s school children watch. 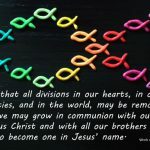 On Friday February 26, Cardinal John Dew returned to the Milne Drive Paraparaumu property of Our Lady of Kapiti Parish. It was just a day short of 17 months since he had previously visited the site to see first-hand the proposed home of a relocated St Patrick’s Primary School and a new church for the parish. Cardinal (then Archbishop) John’s recommendation to the parish development group was to ‘go for it’. The property was subsequently purchased, school plans drawn up by Studio Pacific Architecture in collaboration with the Education Ministry and the Archdiocese and contractors engaged. Building consent was obtained, site works commenced so Cardinal John returned for a special blessing and tree-planting ceremony. Several hundred parishioners gathered, together with the pupils of St Patrick’s. 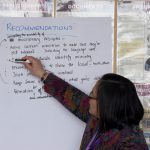 A mihi was offered by Tuki and Pauline Takiwa, Sr Breda Ryan (whose order The Presentation Sisters had opened the original St Patrick’s 63 years ago) offered prayers that ‘our new school be filled with blessings as numerous as the stars in the southern sky’ and school principal Martin Elms spoke of ‘21st century educational facilities that will provide variable and flexible learning spaces’. Cardinal John, assisted by parish priest Fr Michael McCabe, blessed the site and planted a nikau palm, which – along with others to be nurtured at the existing school – will form a grove at the new site. 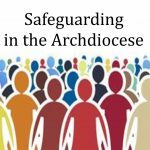 Cardinal John spoke of ‘a wonderful blessing for the whole of the Catholic community…a great asset for the parish and the school to have them together’. Progress on the build has been rapid. By the end of March all concrete should have been poured and most framing erected. Contractors L T McGuiness expect the school, which will be named Our Lady of Kapiti School, to be weathertight by June and ready for pupils at the start of the 2017 academic year. In the meantime, design and construction discussions continue for the parish’s new church and our fundraising activities increase.